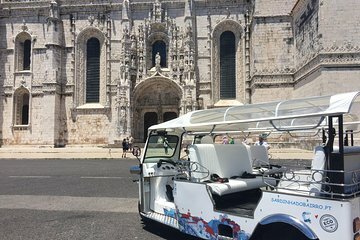 This private tuk-tuk city tour of Lisbon is a great way to travel in style, and see many of the city’s highlights. You won’t have to worry about navigating, as a hotel pick-up and drop-off is included. As you drive around Lisbon and reach places that tour buses couldn’t get to, your experience will be enhanced with live onboard commentary. Highlights include Chiado, Bairro Alto, Principe Real, and Belém.